I am new to JSP but decided to give this a try anyway. First, I had to install the Apache Tomcat Server. 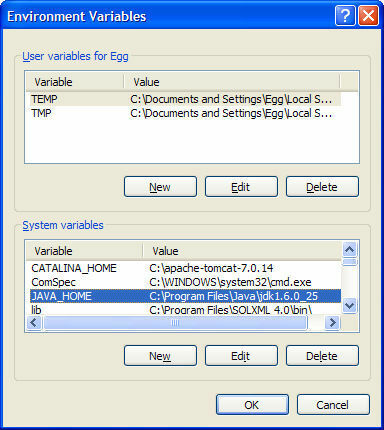 Created a system-wide environment variable named JAVA_HOME for the JDK installation folder. 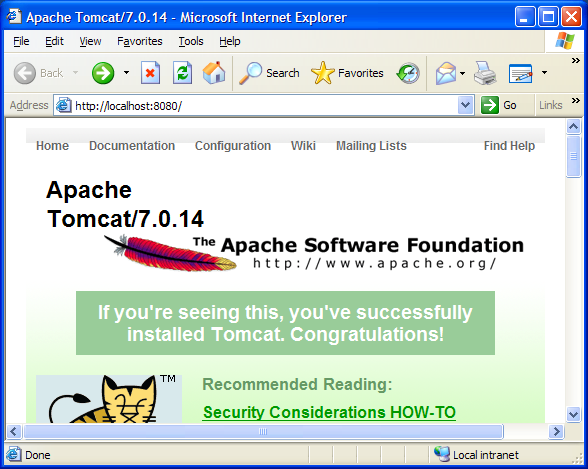 Downloaded Apache Tomcat Server for Windows. Extracted the main Tomcat folder from inside the ZIP archive to my C:\ drive. Installation over. 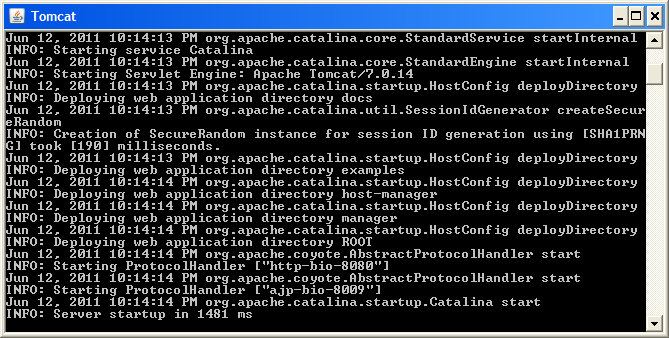 Created system-wide environment variable CATALINA_HOME with the path to the Tomcat folder. Tested the default site at http://localhost:8080. Next, I had to create a JSP script that used PDFOne to create a new PDF document and send it down to the browser. Created a new folder named lib in the C:\apache-tomcat-7.0.14\webapps\ROOT\WEB-INF for the PDFOne JAR files. Copied the following files to the folder. Stopped and restarted the Tomcat server. Created a new JSP script at C:\apache-tomcat-7.0.14\webapps\ROOT\test.jsp with the following content. 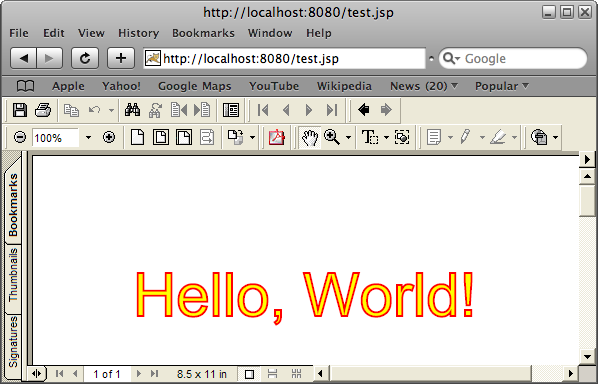 Accessed the JSP script in a browser.